Acne Diets On The Cheap? My acne and I have returned (you can assume the order) to this message board recently. I've been going through thread after thread searching for what's worked for different people. Most of them look great and I'm sure the results are good for most who try and mimic. However, one thing I've noticed about most of them is that they're all pretty expensive to do. Now for some on here that clearly isn't a problem, but there are some of us who don't have enough cash, or even the resources to make all these healthy meals. 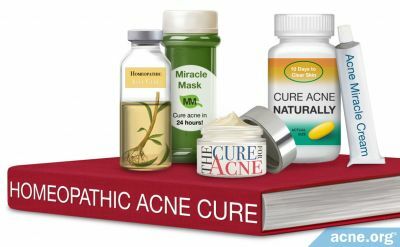 My question to you is, how can I have a good, healthy, anti-acne diet without spending a fortune? If it doesn't exist I wouldn't be surprised. Just for the record if I could eat whatever I wanted my diet would probably consist of microwaving and toasting three-quarters of everything I ate. Define "cheap." I spend about $25-30 a week eating all organic and hypoallergenic foods: turkey, salmon, kale, collards, zucchini, broccoli, carrots, quinoa, buckwheat, brown rice, kiwis, berries and some extra virgin olive oil. I cook up the quinoa, rice and turkey at the beginning of the week, microwave as needed during the week, and quickly steam the veggies to go with them. Very easy and tasty! I could probably scrape by on $20 a week if I could eat frozen chicken breasts or boiled eggs instead of turkey but I can't eat those for a little while. Well that's relatively cheap actually. We're all different in terms of how certain foods affect us, but how is that diet going for you? The only part that worries me about your diet is the microwaving part. Almost anything that comes out of that nuke box gives me acne. Hehe. Any others? I'm just trying to get a general overview of what people are spending. Especially those people who created topics which are at 20+ pages of replies now. I follow a paleo diet which has helped a lot. Others have gotten the same results with this diet. IMO, it is not cheap at all. It is only meats, vegetables, fruits, and nuts (I can only eat little nuts without it being an issue), all of which should be organic/grass-fed. It gets expensive. If I had to do it on a budget, I would change some things. The focus is to keep it dairy free and grain free, so I would buy more tubers (sweet potatoes, cassava, malanga, taro, etc), canned wild alaskan salmon ($3 a pound where I live, http://www.amazon.com/Roland-Pink-Salmon-1...080&sr=8-2), ground beef, starchy fruits that provide more calories (plantains), etc. Normal fruits are expensive for the calories they offer, the same with greens, so I would buy them but a bit less often (although still consume daily). Oils (olive, coconut, lard, tallow) are also a good deal calorie wise. It also depends on how much you eat. 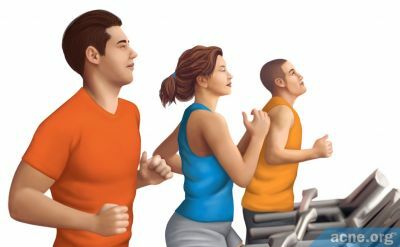 I eat a lot because I exercise often, maybe that's why I spend more money on groceries. The tips above will help if you want to keep a semi-paleo diet. I couldn't tell you how much I spend, but I don't think my diet is expensive. I eat some really cheap meals, like legumes cooked with frozen greens maybe with a bit of sausage, usually not, and more expensive other days like salmon. Another cheap thing is salmon patties made from canned salmon. I can get Keta salmon for under $2 a can. People also use canned jack mackerel for fish cakes, but I prefer salmon for that. I do like jack mackerel though. It's a high omega 3, low mercury fish that tastes pretty much like tuna and is cheaper than salmon. I buy it for my cats actually, but occasionally make a sandwich or something with it. One thing you want to do is buy things on sale. Like almost every time I go do Whole Foods, they have some organic apple on sale for .99 a pound. They keep for a while so buy a lot. And I bought a lot of almonds and other nuts last fall when they were fresh and on sale. Stored in the freezer. And I buy frozen, organic spinach and other greens to keep on hand and add to all kinds of dishes like legumes, curries and soups. And while whole foods is known for being expensive, a lot of things are actually cheaper there. I find it's one of the best places for free range eggs, organic milk, and sprouted grain breads. And there's the bulk foods like the giant peruvian lima beans that are a little over a $1 a pound and absolutely delicious when soaked then cooked with a lot of onion and garlic. Nothing like those nasty things served in school lunches. And do you have a house with a yard? Grow a few veggies and berries. I try, but I don't have much sunlight. One day I want a house landscaped with edible plants. And some chickens. You could also check out your local farmers market. some are cheaper than supermarkets. The one's here are expensive, but some vendors are cheaper than others. Hey Venam, are you sure that salmon is wild-caught? That seemed like such a great deal so I've been looking into it... but I can't find anywhere that it says wild-caught. I see that Roland also sells a wild-caught sockeye canned salmon, which is considerably more expensive. A 4 pack for $9, in Sam's club. Is wild caught and Alaskan. The disadvantage is that it is canned but well, that will have to do for now. That is a very good price venam! Do they add salt or oil in the can along witht the salmon? what other ingredients do they add inside the can? I also been looking for great deals on salmon because I eat mostly fish rather than other meats. Sorry if this will sound rude. But where do you live to be able to spend only $30 on all of that and still be organic? I only buy organic sometimes because it is very expensive. I could easily spend around $100 a week if I buy everything organic. And sometimes that $100 doesn't even include the salmon because wild caught salmon is pricey! I live in Massachusetts and get most of my stuff at Roche Bros, Trader Joe's, and Whole Foods. The salmon is canned, the turkey is fresh, I buy carrots every other week, get the brown rice, buckwheat and quinoa in bulk, eat the kiwis only sparingly, and get the berries frozen. I am a small person so maybe I don't eat as much as other people, though. So from the looks of it a diet can cost right around $30 a week, but rise to as much if not exceed $100. I'm not at all picky when it comes to food I'm dieting for. I definitely have to do a bit more research into what I can and can't eat oh and how exactly you guys are eating them. I lack a stove and some of the other kitchen products some people are using with these diets. However, I think if I tried hard enough I could find food that I could begin to diet with. Are you two living in dorms? And there's no communal kitchen? Why not get an electric hot plate rather than gas stove? Much better for indoors. And even better, Tuesdaymorning.com has an induction plate stove. Those are the things that only heat a metal pan and aren't hot to the touch before or even immediately after removing the pan. Not cheap, about $170, but they are the most efficient energy-wise, don't heat the room at all and way safer especially if using on your desk or other small space. I'm thinking of getting one just for the summer because I can really feel the heat in my kitchen from just one burner on the stove. Make one pot meals like legumes, soups, stir fry and curry. Or meals that can be sauteed in one pan, like sauteing a bit of chicken, then throwing in some spinach to wilt. Edit - Costco now has the induction plates for about $70-80. You should also get an electric George Foreman-type grill. Oh, and many supermarkets seafood departments will steam cook anything they sell. They even have spice blends for you to choose from. Stop there first when shopping and whenever wild salmon or other good fish is on sale, get a portion or two steamed while you shop, take home and eat with salad or steamed broccoli. One of my supermarkets just added a grilling station as well. I wouldn't really call it a diet, but honestly when I don't eat it my face looks the same. Then again, the other stuff I do eat isn't much better I guess. Fast food has never really broken me out. There was a time a few months ago when I literally had McDonalds and only McDonalds for 2 weeks straight and my skin looked better then than it does now. How does that make any sense?! When you eat food it can take 1-2 weeks to have an affect. I don't think that's really true. I've read people who said "it takes 2-3 weeks for the pimple forming in your skin to show on your face". I can tell when I've eaten something I'm not supposed to because I will show on my skin within 2 days. Sometimes I think people just hear something and run with it. Some stuff you might eat will show up in 2-3 days, some other stuff might cause acne only from chronic use. IMO, gluten and other toxins in grains affect people only after chronic use. There are quite a few parts of animals that are rarely eaten that you might get for free or very cheap from farmers, butchers and whatever you call the people that process deer and other kill from hunters. Many hunters waste most of the animal. Ask about necks and cheek meat. Search Martha Stewart for what sounded like a really good sheep/lamb neck roast recipe which I'm sure is applicable with other animals like goat or deer. My sister makes Mexican Barbacoa for tacos with beef cheeks in a slow cooker. It's fatty, just so you know. Her husband hunts and she tells me that they roast the deer necks (and use all the deer) but I haven't seen it. The cheeks of large fish or fish heads. Make soup. My sister (they also fish) takes their fish heads to the Asian owners of their favorite liquor store and they get a pot of soup in return. And on a recent Anthony Bourdain episode about the midwest, he was served something called something like tuna collar or some other fish collar. I don't remember. The chef said he gets it for free and Bourdain said is was the best part of the fish and someday it will be the next big thing. I assume it's from the part of the fish right behind the head. Great Value Alaskan Wild Pink Salmon is $1.97 per 14.75oz can at the same location. Lots of great stuff will be on sale in our supermarkets for the holidays. Sweet potatoes, the new fall crop of nuts (stock up and store in freezer), cocoa, turkey, cranberries. Just throw the bags of cranberries into the freezer. Also, just in case there's folks out there who haven't done it yet, stop buying bottled or commercially prepared drinks. Get stainless steel or ceramic bottles and go cups to carry drinks you made at home. See the drink recipe thread: http://www.acne.org/messageboard/Drink-Recipes-t227342.html.